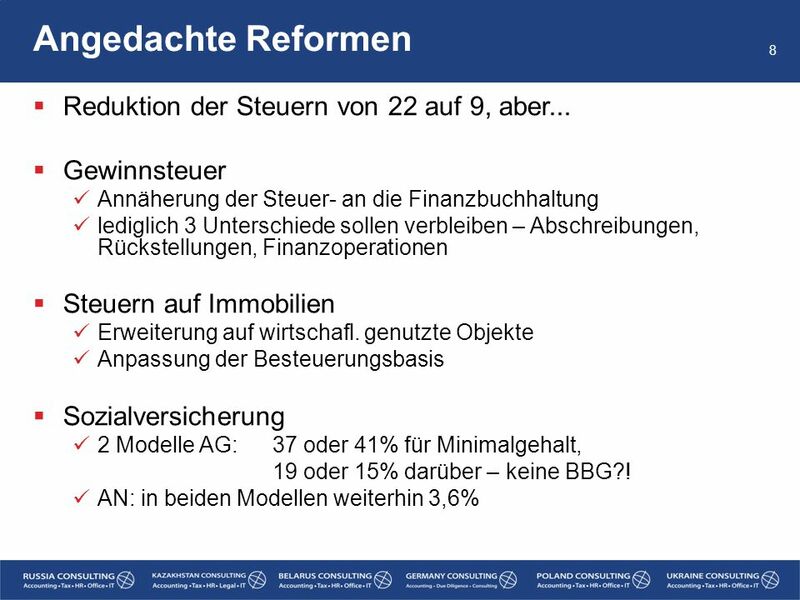 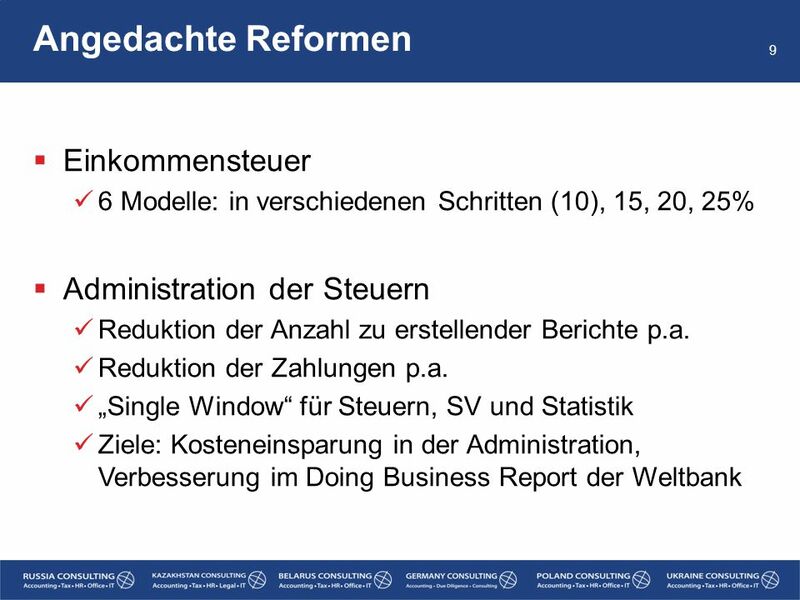 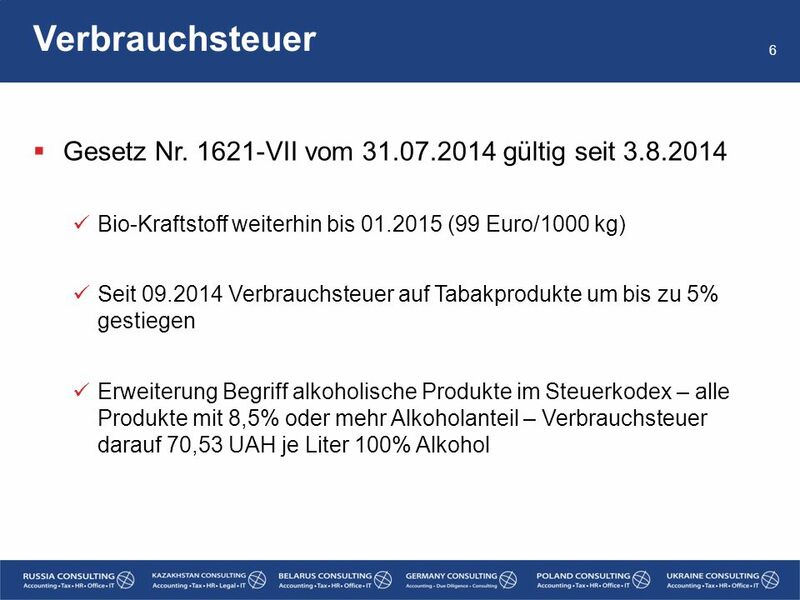 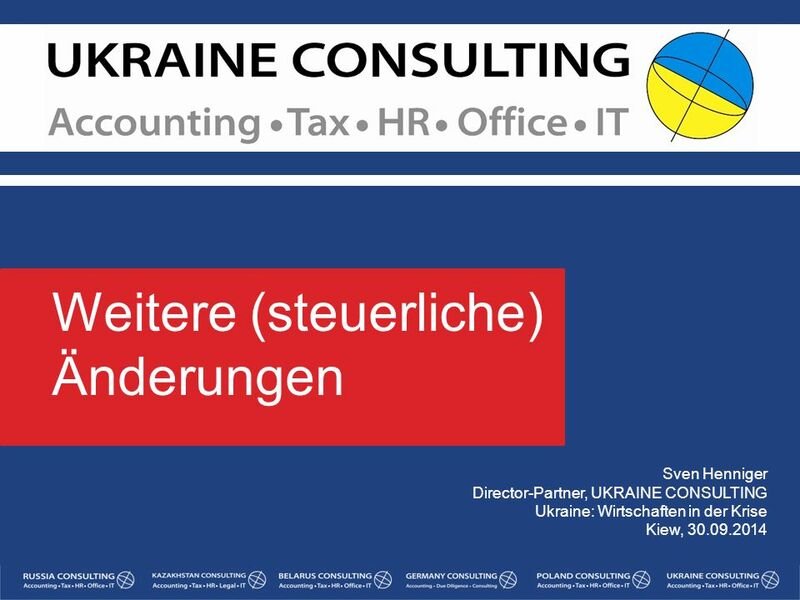 Restriktion von staatlichen Audits – max. 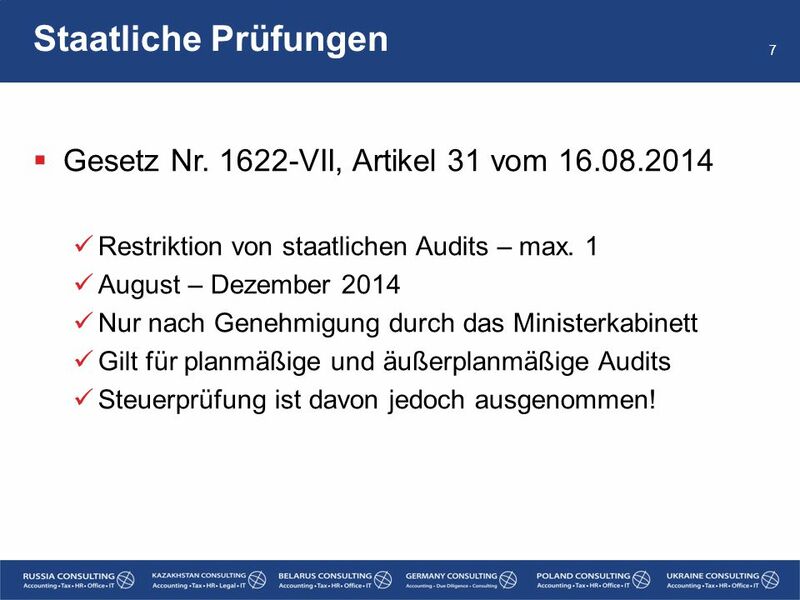 1 August – Dezember 2014 Nur nach Genehmigung durch das Ministerkabinett Gilt für planmäßige und äußerplanmäßige Audits Steuerprüfung ist davon jedoch ausgenommen! 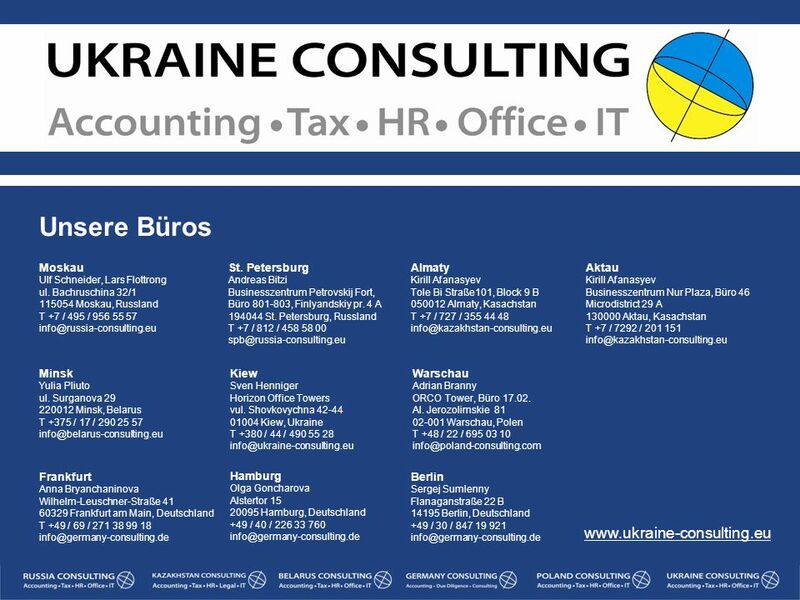 10 Danke für Ihre Aufmerksamkeit! 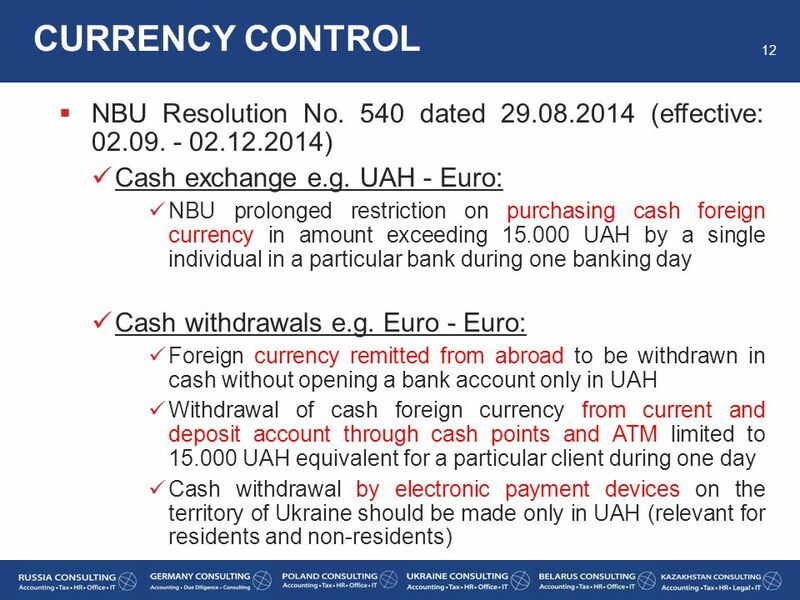 14 CURRENCY CONTROL Resolutions No. 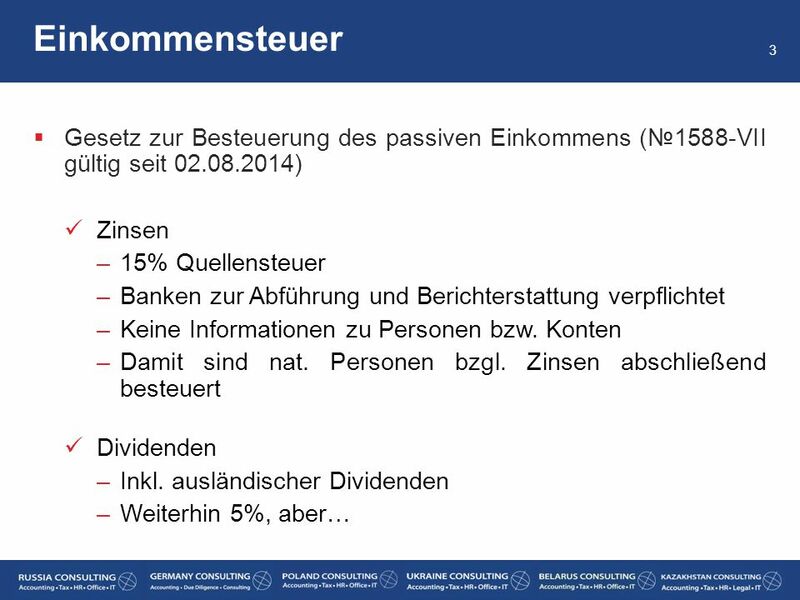 515, No. 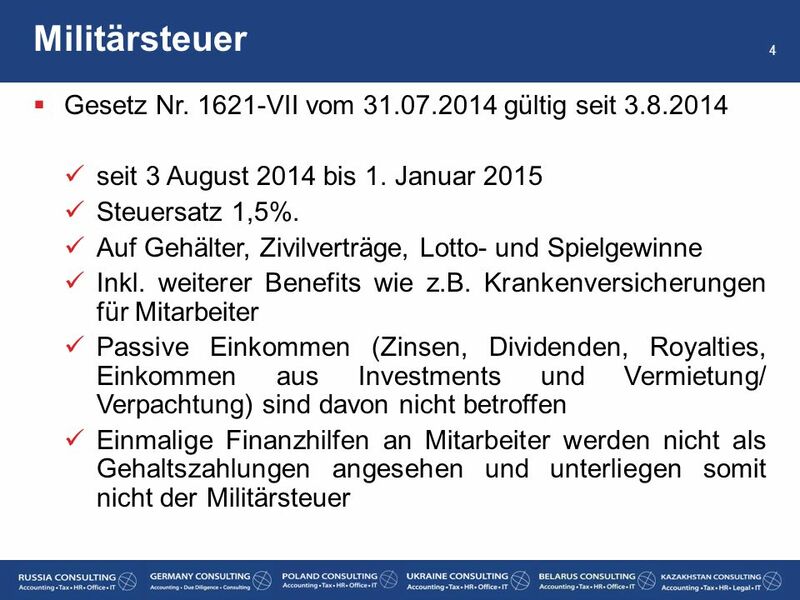 534 and No. 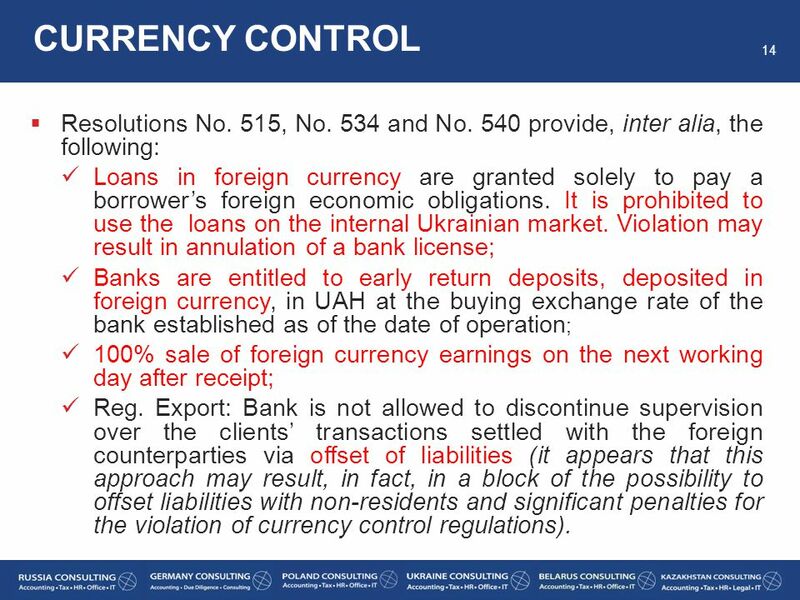 540 provide, inter alia, the following: Loans in foreign currency are granted solely to pay a borrower’s foreign economic obligations. 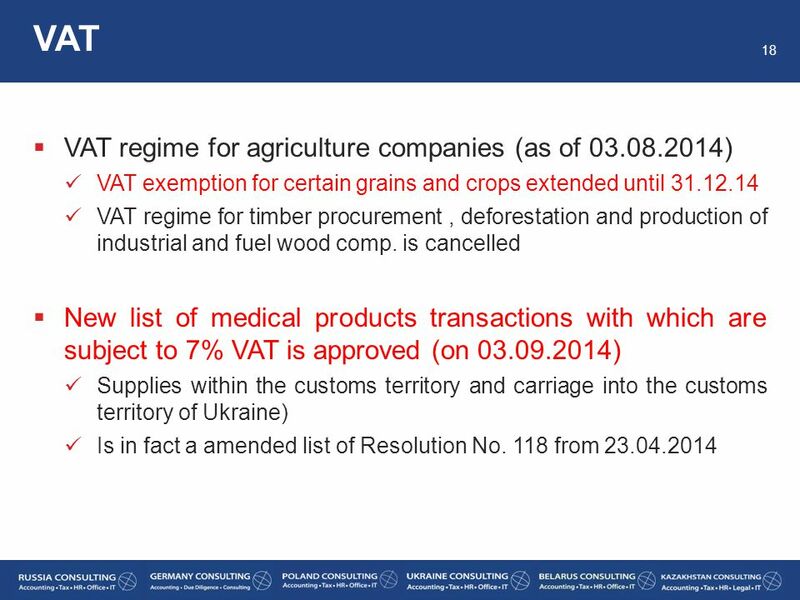 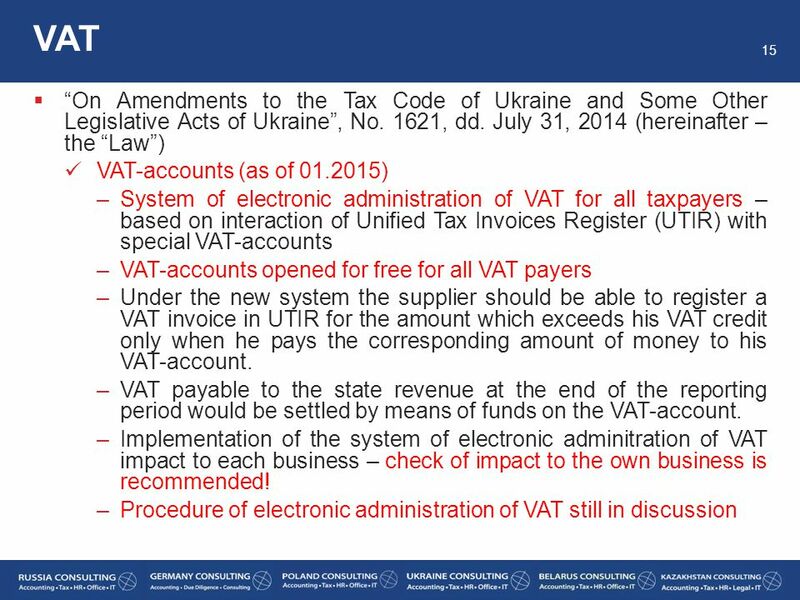 It is prohibited to use the loans on the internal Ukrainian market. 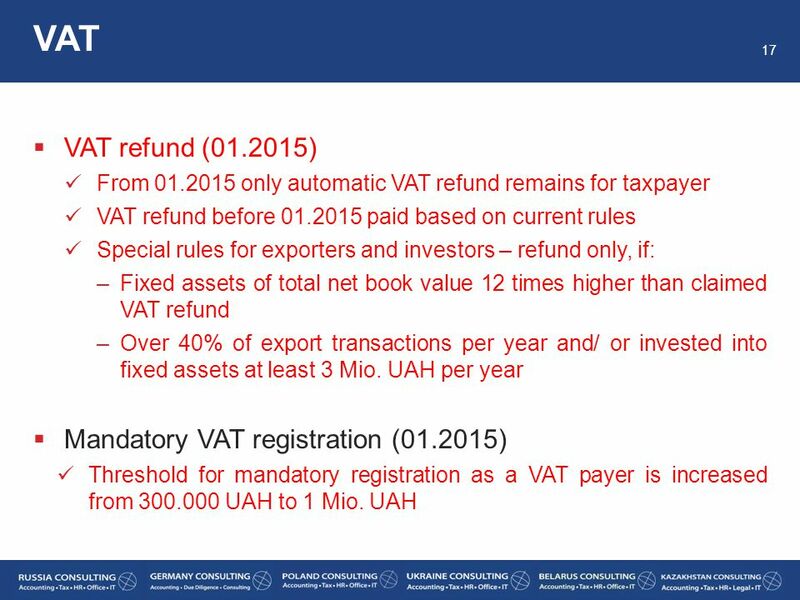 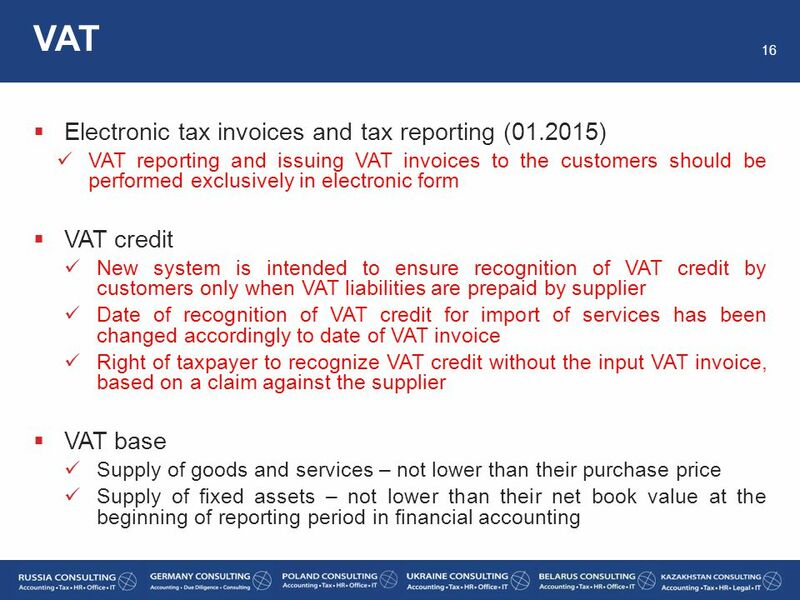 Violation may result in annulation of a bank license; Banks are entitled to early return deposits, deposited in foreign currency, in UAH at the buying exchange rate of the bank established as of the date of operation; 100% sale of foreign currency earnings on the next working day after receipt; Reg. 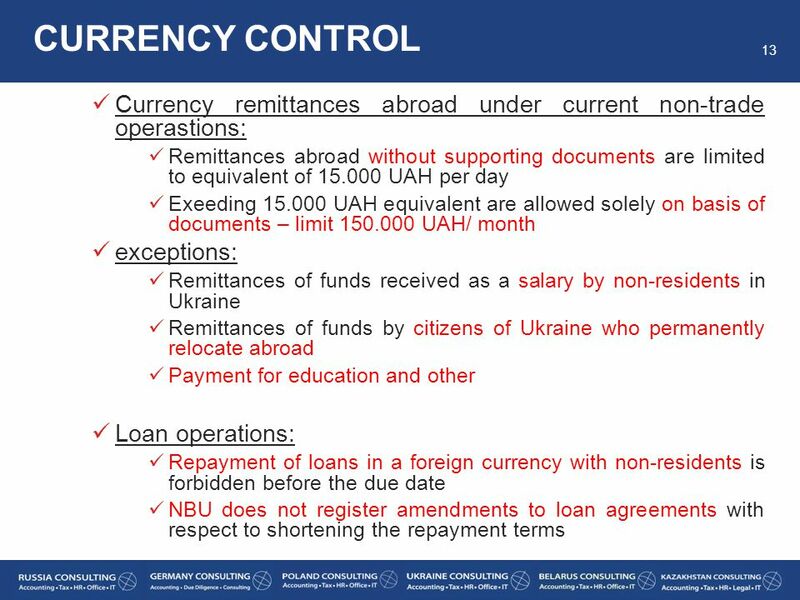 Export: Bank is not allowed to discontinue supervision over the clients’ transactions settled with the foreign counterparties via offset of liabilities (it appears that this approach may result, in fact, in a block of the possibility to offset liabilities with non-residents and significant penalties for the violation of currency control regulations). 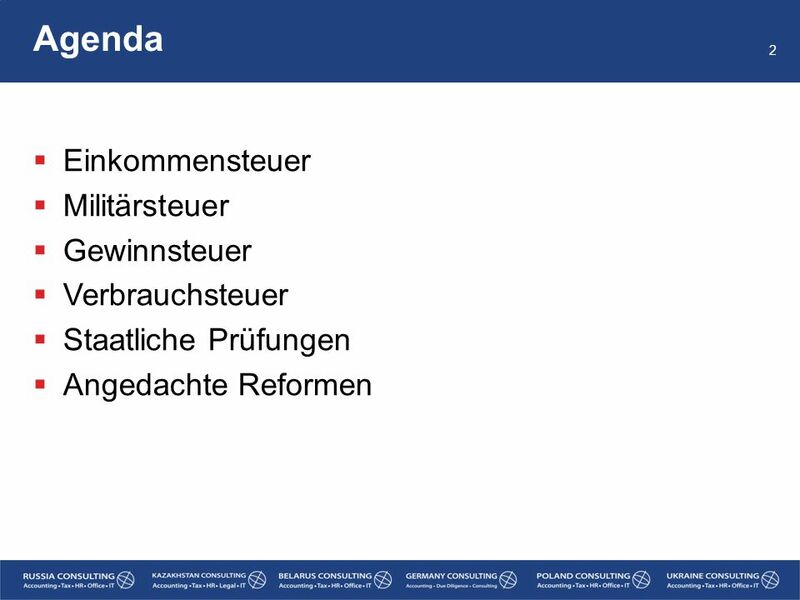 Herunterladen ppt "Weitere (steuerliche) Änderungen"
Titel der Präsentation The consequences of bribery Who has the standing to sue? 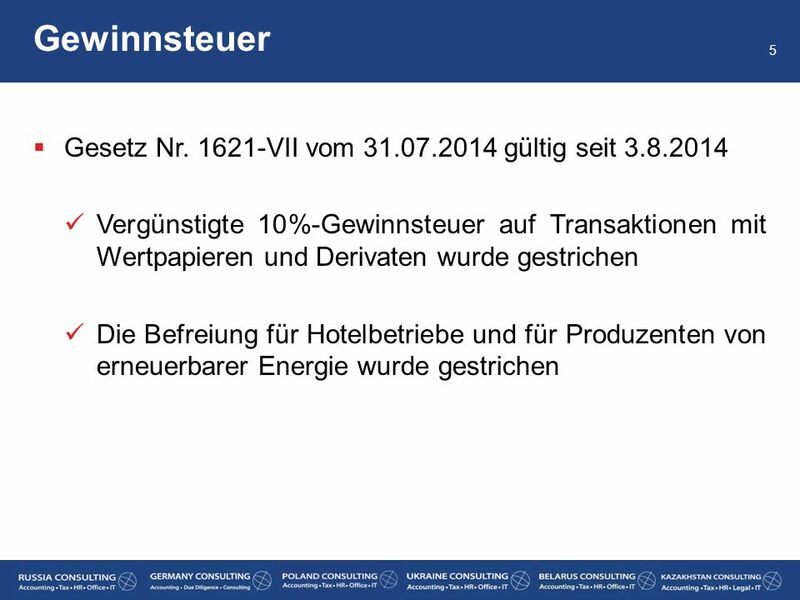 2009 Annual Meeting of the International Distribution Institute Dr. Stephan. 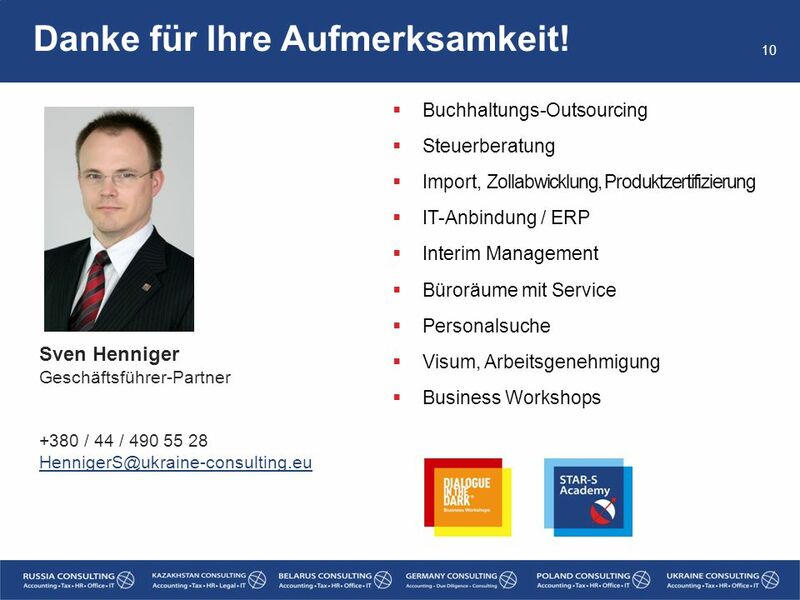 Masterstudiengänge im Tourismus in der Schweiz Chur Lausanne Hochschule für Technik & Wirtschaft Chur International Hospitality Management Lausanne International.